This card combines several challenges into one. 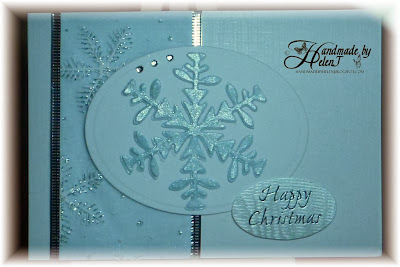 This week at Less is More the challenge is to use a metallic element & one other colour; at CASology the theme is snowflake; and I really liked the current sketch at Sketch Saturday, although I haven't stuck to it exactly. 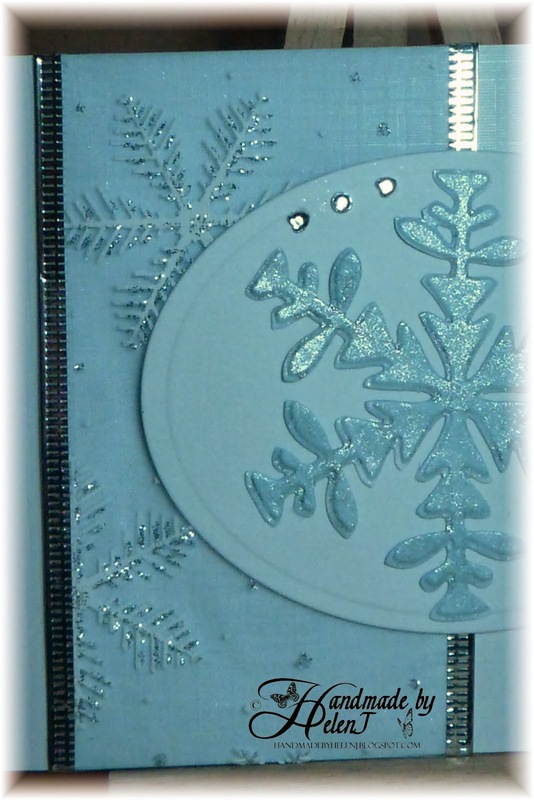 The ribbon has been languishing in my stash for several years now and as it fitted the first two challenges perfectly (it has a metallic edge, is pale blue although that's not easy to see in the pictures & is decorated with metallic snowflakes) I decided it was about time I used it! 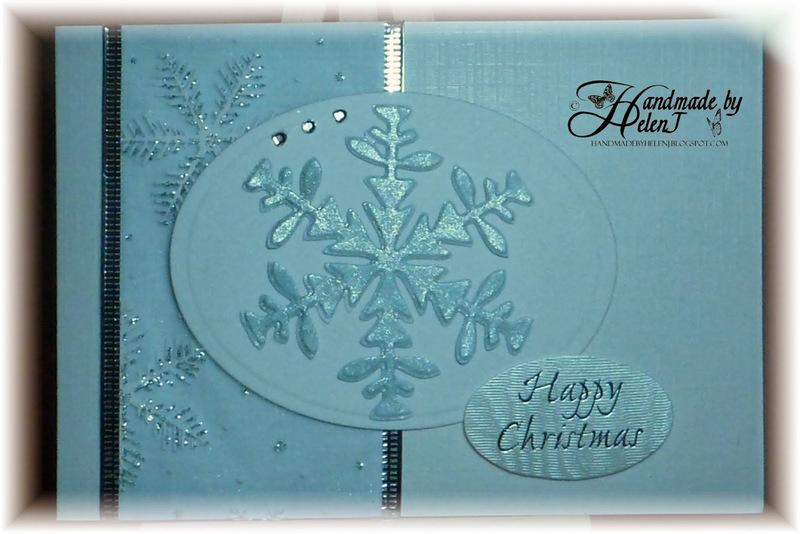 The snowflake is a Cuttlebug die, embossed with a matching embossing folder, coloured with Pastel Blue Promarker & then glittered using my new Clear Wink of Stella brush which got its first outing. 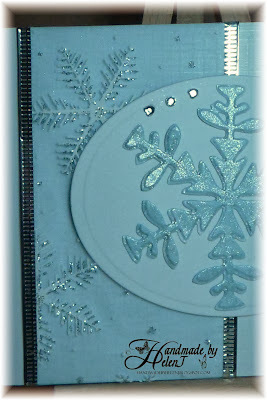 This is such a pretty snowflake card! It has a very icy feel to it .love the beautiful shimmer and bling. this is so pretty...the ribbon is a nice touch! 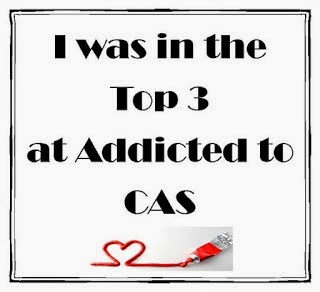 thanks so much for playing along with CASology! Beautiful blue snowflake. 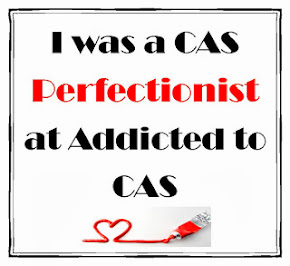 Thank you so much for joining us this week at CASology! Love the colour combo you used and the touches of sparkle too! Thank you for joining in the Sketch Saturday Challenge this week. So pretty I love how you have the small snowflakes and then a large one very pretty.